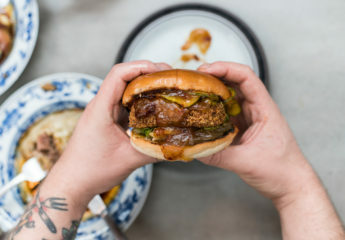 London has many wonderful restaurants – from the new breed of casual walk-in restaurants to ramen noodle specialists and the many burger bars. But one thing the city does very well is elegant fine dining to please the Michelin inspectors. Read our guide to the best Michelin restaurants in London, with a selection of 1, 2 and 3 Michelin starred restaurants. 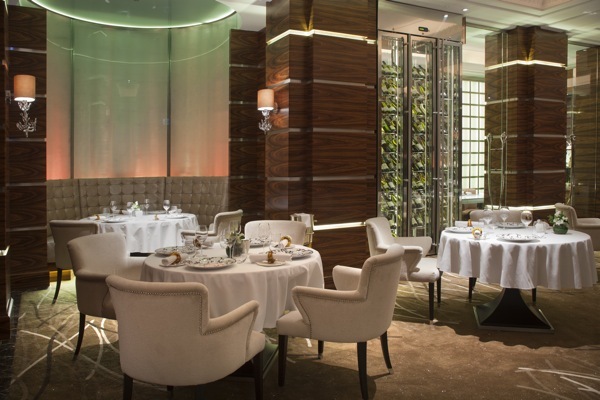 One of the UK’s few 3 Michelin starred restaurants from one of the world’s most celebrated chefs, Alain Ducasse. 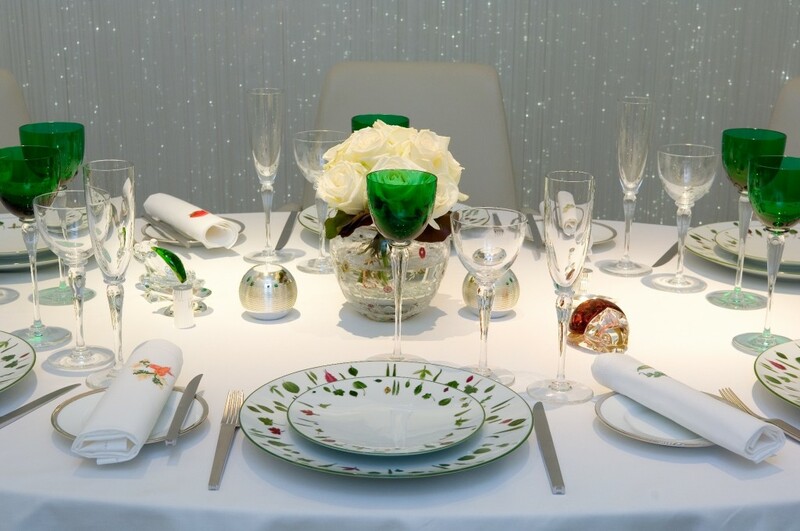 Our favourite table is the Table Lumiere semi private dining room which is perfect for up to six guests. Cocooned by a luminescent oval curtain, the Table Lumiere surrounded by 4,500 shimmering fibre optics that drop dramatically from the ceiling – gorgeous! 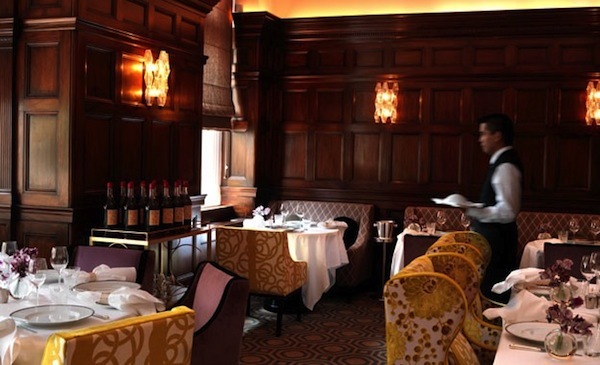 Marcus Wareing at The Berkeley merges elegance and warmth in a luxurious setting in the Berkeley Hotel in Knightsbridge. With intricate yet robust flavours, clean textures and a quality ethos this is food that entices you back again and again, making the restaurant one of the best Michelin restaurants in London. The dining room is gorgeous, but we would recommend the chef’s table in its own luxurious and intimate air-conditioned space at the heart of the restaurant, or the larger Pomerol private dining room, which is ideal for a celebratory lunch or dinner. The Ledbury, sitting on the edge of Notting Hill, has become a bit of a place of pilgrimage for foodies. Run by Australian chef Brett Graham, whose selection of dishes will delight and entertain even the trickiest of customers. The Ledbury seems to be getting better and better and many think that it can’t be long before The Ledbury gains the elusive third Michelin star, making it a big contender for the totle of the best Michelin restaurant in London. Chef Philip Howard has been at the helm for over 20 years at the consistently excellent The Square in Mayfair. While the restaurant lacks a little atmosphere, my recent dinner at The Square was one of the most impressive in years. The Connaught Hotel has a prime Mayfair address and Helene Darroze at The Connaught lives up to the expectations of its location. Helene Darroze serves delectable French cuisine inspired by authentic regional and seasonal flavours with influences from Helene’s native south-west France. 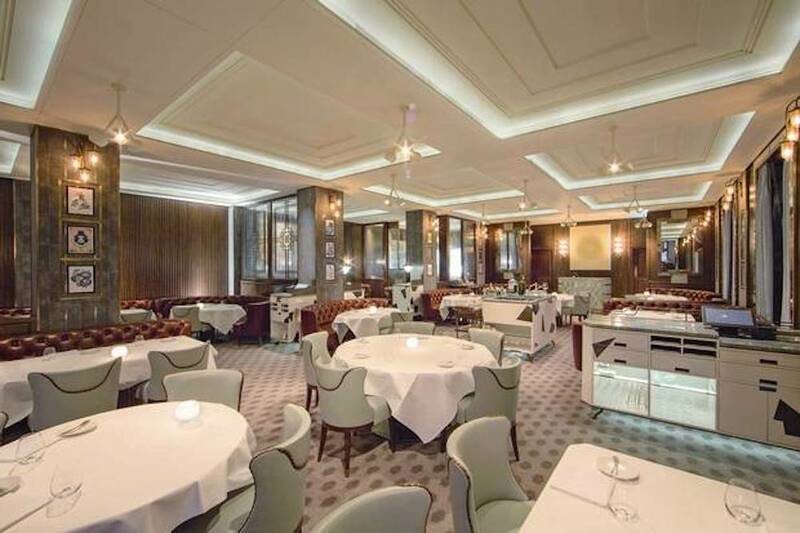 Helene Darroze at The Connaught is grand and elegant for a special dinner but equally accessible for a quick business lunch. The Connaught is one of our favourite luxury hotels in London. 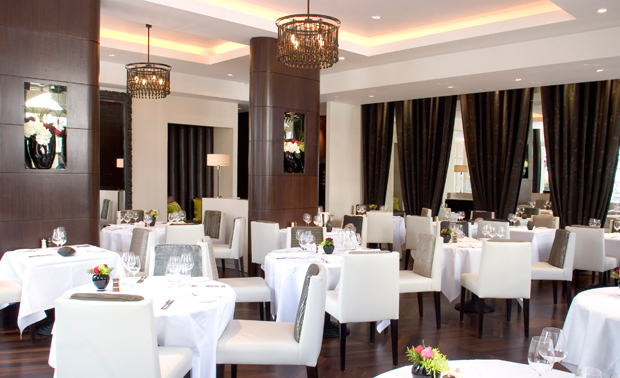 ‘Dinner’ was Heston Blumenthal’s foray into the London restaurant scene at the Mandarin Oriental hotel in Knightsbridge. Driven by the popularity of The Fat Duck, ‘Dinner by Heston’, one of the most anticipated restaurant openings of recent years, received immediate acclaim by critics, collecting its first Michelin Star in the 2012 UK Michelin Guide later in the year. This was followed by a second Michelin star the following year. Dabbous restaurant and bar is the first solo venture from Ollie Dabbous, which received immediate critical claim and has kept the phone lines ringing ever since. 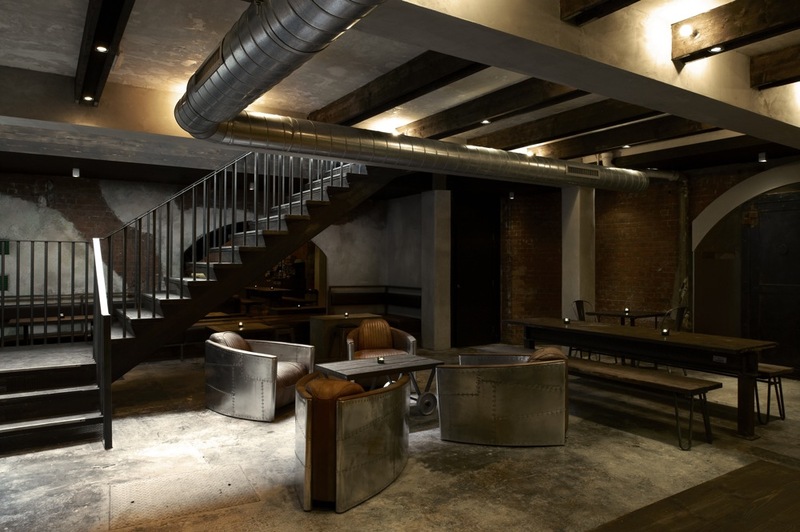 Spread over two levels, the restaurant has an industrial feel, with exposed brickwork, dark woods and copper pipes. Dabbous is booked incredibly far in advance, but we would recommend visiting the bar (pictured above) for some drinks and to try out their bar menu, which includes an excellent steak sandwich. The opening of Nobu London along Park Lane was the first European venture of the celebrated Japanese chef Nobu Matsuhisa. The food draws heavily from his training in Japan and his extensive travels – expect to see Peruvian flourishes and South American influences. Its location overlooking Hyde Park means that this is a great place to dine as you watch the sun set. Since opening in 1997 and gaining its Michelin star Nobu London has continued to delight diners from all over the world. Alyn Williams at the Westbury, who was previously head chef at Marcus Wareing at The Berkeley, opened his eponymous restaurant in the Westbury Hotel in Mayfair at the end of 2011. 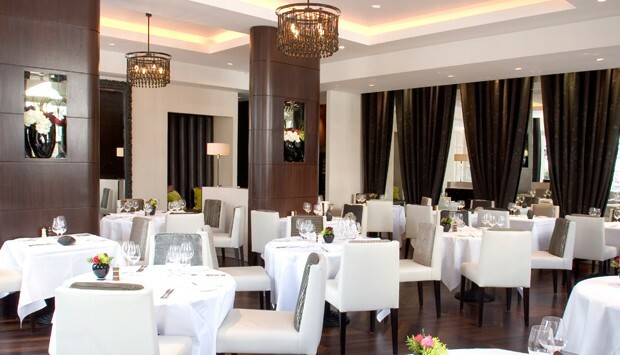 Alyn Williams at The Westbury has slick, elegant and contemporary cooking, as handsome as it is delicious with a luxurious and chic design. The Harwood Arms in Fulham raised the bar by being the first pub in London to be awarded a Michelin star. Its simple and rustic interior and distinctly British cooking, including favourites such as venison scotch egg, make The Harwood Arms every inch the modern pub, which features on our guide to London’s best gastropubs. Opened in July 2011 by self-taught chef Mikael Jonsson, Hedone instantly established itself on the London dining scene and gained its first Michelin Star in 2012. The passionate chef is led by a desire to source the very best ingredients, which means visiting Hedone is well worth the effort of travelling to Chiswick. 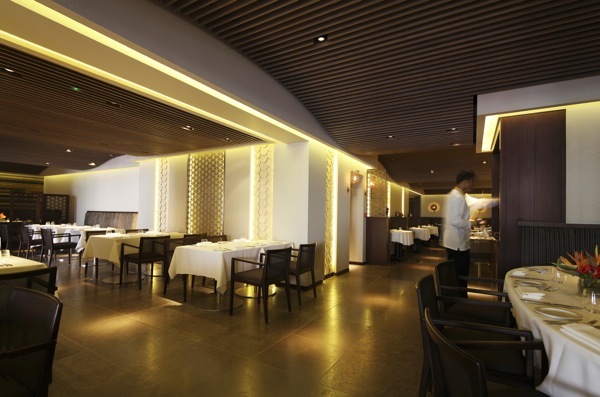 Quilon re-launched in 2012 following an extensive refurbishment, with a stylish, slick interior to match the quality of the south-west Indian food. 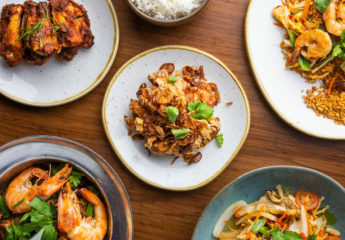 Starters of crispy fried cauliflower tossed with yogurt, green chilli and curry leaves; coconut cream chicken (marinated chicken fillets with ground coconut, chilli and cumin, cooked over a griddle); and char-grilled scallop with mango chilli relish showed real flair in the kitchen. London seems to do high-end Indian restaurants very well, and Quilon is up there with the best of them. 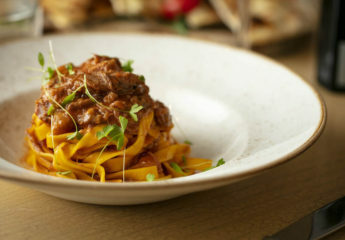 The River Café is widely regarded as one of London’s best Italian restaurant. The great pedigree in the kitchen has already produced many successful alumni and imitations. Its minimalist, sleek design and light colour scheme that blend effortlessly with the riverside setting, creates an unforgettable dining experience. 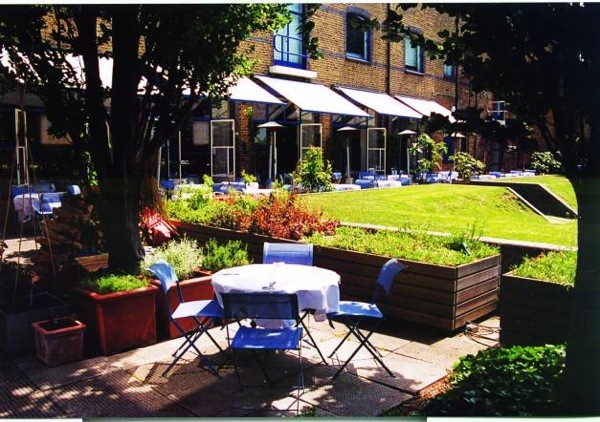 The large terrace makes the River Cafe an excellent alfresco dining option in West London, and one of the best alfresco restaurants in London. If you would like Bon Vivant’s restaurant specialists to advise on and book your restaurants including dinners with friends, business lunches or private dining bookings, contact us to enquire about becoming a member. If you like this feature on the best Michelin restaurants in London, read our guide to the best venues in London for brunch or our guide to the best cocktail bars.